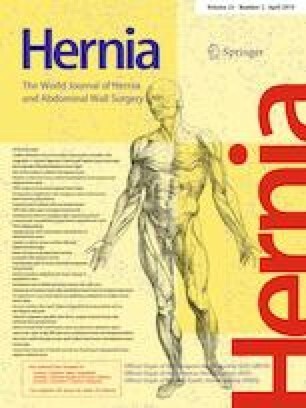 Despite several successful studies with low-cost meshes (LCM) for the treatment of inguinal hernias in India and Africa, a nationwide application has not been possible for a variety of reasons. One problem is the special preparation and sterilization of these meshes—naturally, they should comply with international standards and demands, which is often difficult to achieve in Africa. Our primary approach was to determine whether there are differences in the biocompatibility of fibroblasts between non-sterile and sterile LCMs and commercial meshes (CM). Two polyester CMs with different pore size and a polyester LCM were examined as both sterile and non-sterile. LCM was plasma sterilized at 60 °C and steam sterilized at 134 °C. Sterile and non-sterile meshes were soaked with an antibiotic (penicillin/streptomycin) and antimycotic solution (amphotericin B). Human fibroblasts from healthy subcutaneous tissue were used. Various tests for evaluating the growth behavior and cell morphology of human fibroblasts were conducted. Semiquantitative (light microscopy) and qualitative (scanning electron microscopy) analyses were performed after 1 week and again after 12 weeks. The metabolism of fibroblasts was checked by pH measurements and glucose analyses. Biocompatibility of fibroblasts on sterile and non-sterile meshes was carried out by luminescence methods (cell viability and apoptosis) as well as calorimetric methods for proliferation determination (BrDU assay) and cytotoxicity (LDH assay). Light and electron microscopy revealed a moderate growth of fibroblasts on all investigated mesh types. The results of glycolysis and the pH value were within the normal range for all sterile and non-sterile meshes. In biocompatibility studies, no elevated level of apoptosis was detected. The viability measurement of mitochondrial activity of fibroblasts showed a 50% inhibition of mitochondria in all nets, with the exception of non-sterile CM, whereas mitochondrial activity was increased in the non-sterile CM. A proliferation measurement (BrdU test) revealed different growth inhibition in the sterile and non-sterile meshes. This growth inhibition was significantly stronger, particularly for non-sterile CM light meshes, than it was for the non-sterile LCM. Again, our studies show no significant differences in biocompatibility of fibroblasts between expensive and low-cost meshes. In addition, we detected fibroblast growth even in sterile meshes, independent of the mesh group. To our knowledge, the present study is the first of its kind in terms of qualitative equivalence of sterile and non-sterile in vitro mesh samples. We do not wish to create future patient studies with non-sterilized meshes saturated with antibiotics/antimycotics. However, perhaps we can prove in future studies that under semi-sterile conditions with certain LCMs, wound infection rates can be acceptable. RW, AG, TK, NE and DR declare that they have no conflict of interest. RL declares conflict of interest not directly related to the submitted work. He has given two OP training courses for Company BD/ C.R.BARD and received a Speaker honorarium from Company BD/ C.R.BARD. An ethics vote was not necessary for the in-vitro trials. All authors confirm that no experiments with humans or animals have been carried out. The female patients have given their consent to the provision of fibroblasts.